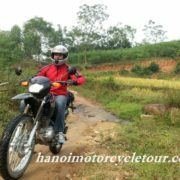 This 12 day motorbike tours on Ho Chi Minh trail is designed by the local team of Vietnam Motorbike Tour Expert after many years of studying and doing survey on the routes. 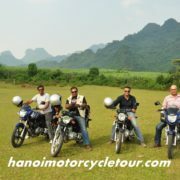 With only 12 days and around 1.750 km motorbike ride, the tour will offer you taste of Northern Vietnam’s beauty with green terrace fields and colorful hill tribes, give you chances to visit many historical sites that make you understand more about the Vietnam War and the ride will take you to Central highlands where you can experience a different charm of Vietnam. Please click here to view the route! Depart from Hanoi at 8:30 am. We will get out of the city by the free way to the west of Hanoi, just one and half hour ride we will at the bank of the Da river, stop and put the bikes on the ferry to cross the river, After crossing the river we will be faraway from the hustle of the city, the ride from here is almost on the back-roads through some villages, rice and green tea fields. 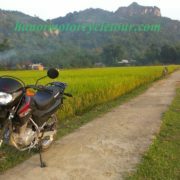 It’s completely enjoyable motorbike ride in North Vietnam. 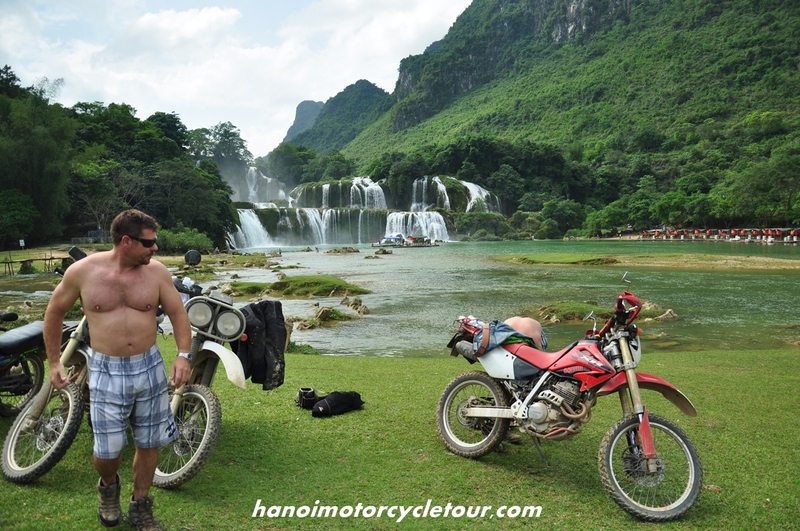 This short motorbike tour northern Vietnam is our favourite and it must be the highlight of the trip. We arrive Phu Yen town at 4:30 pm. At 8:30 am having break fast with traditional Pho – rice noodles soup. 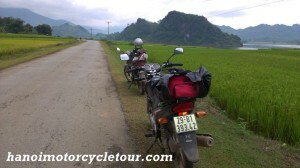 Continue the motorcycle touring northern Vietnam to Mai Chau valley. 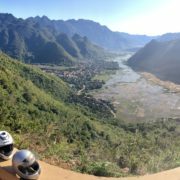 It’s a short motorbike tour to Mai Chau but offers great view of mountains so you can have plenty of chances for taking photos. 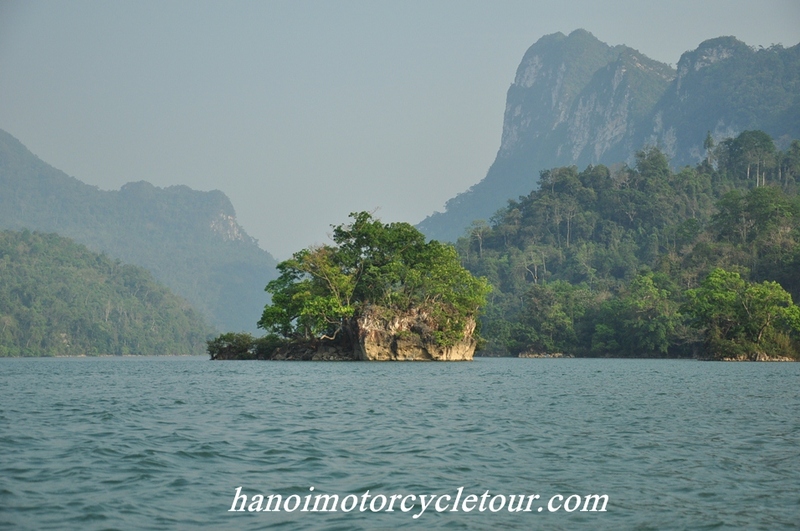 Right after the Phu Yen town, we will have beautiful ride along the winding Da river, the ride may remind you a motorcycle tour on coastlines in southern Vietnam. After crossing the river, we’ll motorcycle up and up, cross some high and nice mountain passes to head up to Moc Chau plateau where is famous for cool temperature and large green tea fields. Lunch is in Moc Chau town, after lunch we will make a turn to Hua Tat pass – it’s the old road built by the French that offers a great ride because of quiet traffic and beautiful view. 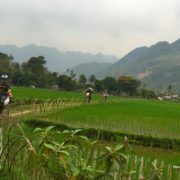 We will be in Mai Chau valley at 5 :00 pm. After breakfast, we start the day with short but enjoyable ride through villages of Thai people and through beautiful rice fields, after the valley we will have great motorbike ride along the Ma river through bamboo forest between the green mountains. We will get to Ngoc Lac town at noon time when the lunch is served at the local restaurant. 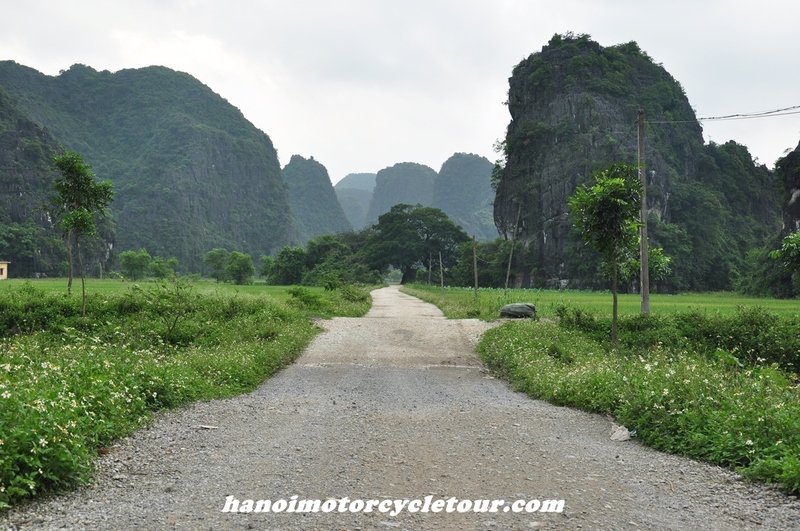 After lunch, just enjoy an easy and relaxing motorbike tour on Ho Chi Minh road to Tan Ky town. Tan Ky is a little quiet town located on the sides of the Ho Chi Minh road, the town is surround by mountains and some rustic villages and known as the starting point of the Ho Chi Minh trail during the war time. From here the Northern communist with food and weapons travel down to the South Vietnam to join the war. 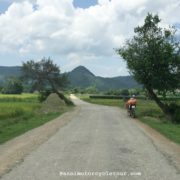 After simple breakfast in the local restaurant, we travel down to the South Vietnam with our motorbikes on the historical trail. The ride is almost on the repaired part of the trail but still offers a great view of mountain and the daily life of the local. 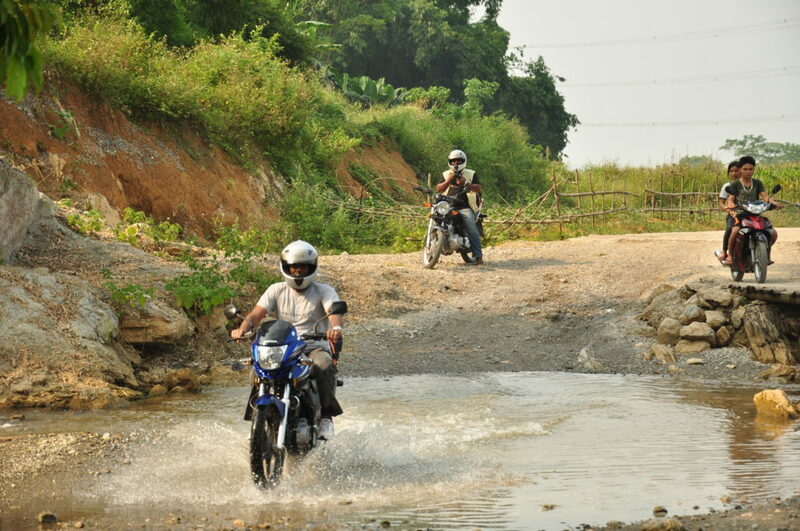 The motorbike ride on Ho Chi Minh trail in the afternoon must be the highlight of the trip. 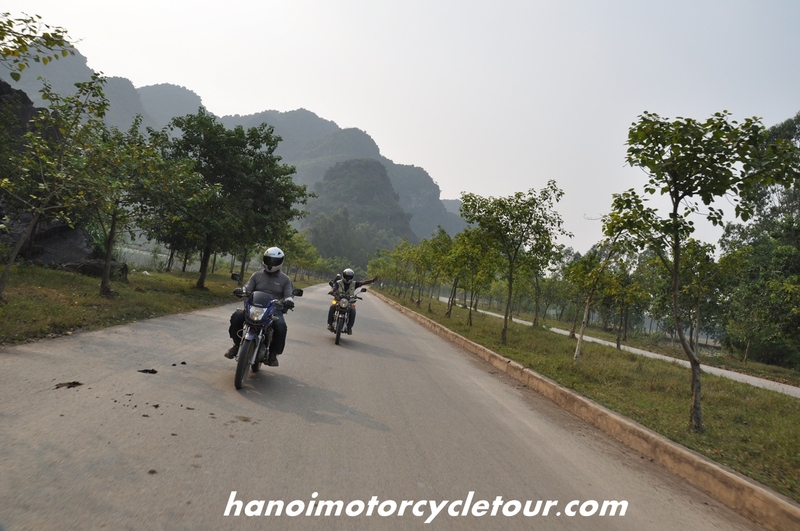 Today must be the best part of the Ho Chi Minh trail motorcycle tour! 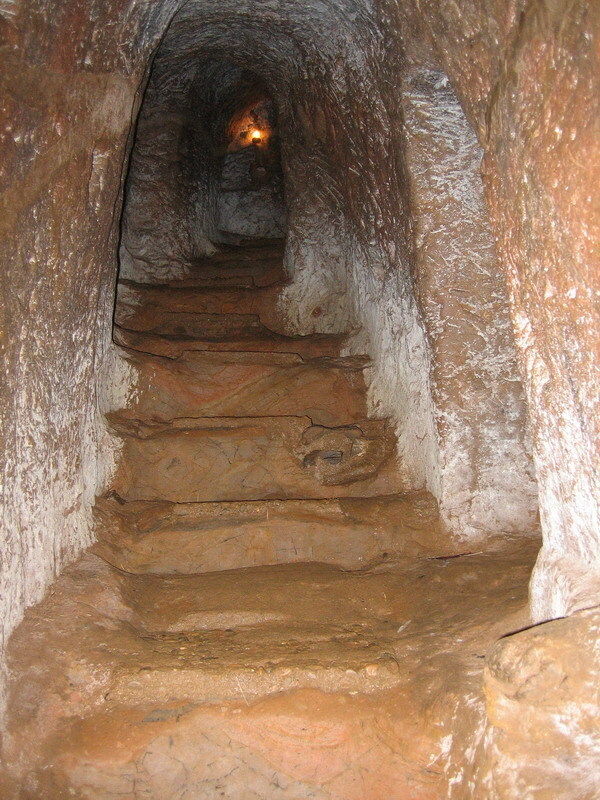 After departing from Phong Nha town, we will make a turn to join the western Ho Chi Minh trail; known as the hidden trail that the US army did never know and bomb. 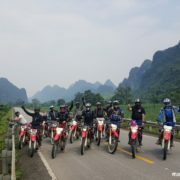 With the length of more than 200 km through the Phong Nha Ke Bang national park where the traffic is completely empty, this motorbike tour on the trail surely offers unforgettable experience. In the late afternoon when we get out of national park we will pay a interesting visit to Khe Sanh – the former important US Marine Base including US Air base, tunnels and new Khe Sanh museum. 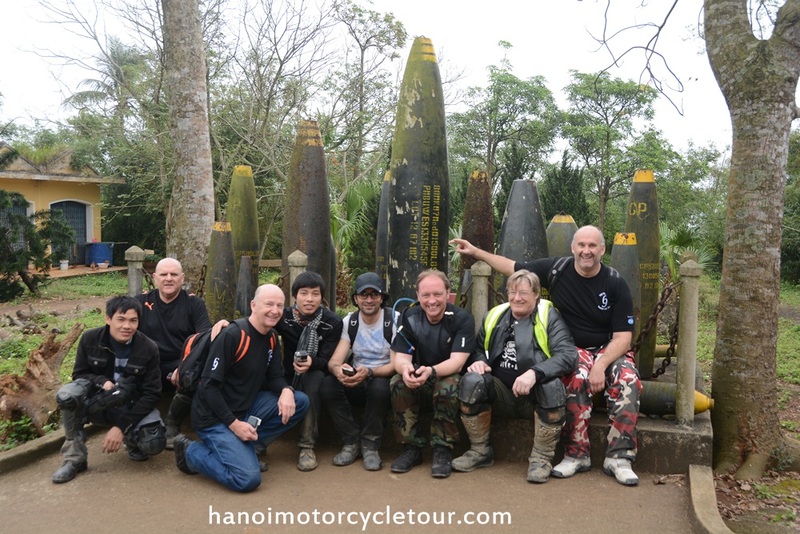 We will head down to the Khe Sanh town and finish the great motorcycle tour on Ho Chi Minh trail Vietnam at about 5:00 pm. It’s not the motorbike ride along the Ho Chi Minh trail today but it gives plenty of chances to visit the historical sites. After breakfast, we will leave the Ho Chi Minh trail to ride along the historical road No 9 along the Dakrong river. The motorbike ride is straight to the eastern side of Vietnam along the 17th parallel where we can visit the Hien Luong bridge – a symbol for the border between the north Vietnam and south Vietnam, Vinh Moc tunnels and where you can have short motorbike ride on coastal roads which offers different view from the ride on Ho Chi Minh trail days before. We arrive Hue at 4:30 pm. It’s beautiful Vietnam motorcycle tour on coastlines from Hue to Hoi An. After breakfast, get back to the bikes and ride to the coastal outskirt of Hue city, then enjoy the motorbike tour on the coastal roads down to Hoi An. We will cross the Hai Van pass or Cloudy pass – one of the most beautiful passes in the central Vietnam in which presents a great view of mountain and ocean. We will be in Hoi An at 4:00 pm. Hotel stay. After breakfast in the hotel, we will have short walking tour around the ancient town Hoi An to see some famous attraction in Hoi An such as: the Japanese bridge, Chinese temples, local markets and the traditional houses. In the afternoon you can have your free time at the beach or keep motorcycle touring Hoi An to some peaceful and green villages of the local people who plant the vegetable all year around. 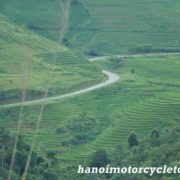 We continue the Ho Chi Minh trail motorbike tour but from Hoi An we will see the different part of the trail, the tour will take you to the central highlands Vietnam – a different Vietnam that make you feel worthy to come. Start the Hoi An motorcycle tour to Kon Tun at around 8:30 a.m. The motorcycle ride today will show you the rural life of locals such as: incense making, basket making village, rice paper making,…and then head to My Son Hollyland where you can visit the ancient Cham Towers and learn more about history and culture of the Cham people. 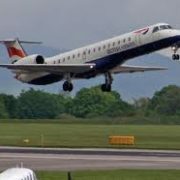 After that keep motorcycle ride Ho Chi Minh trail where to enjoy the breath-taking nature and visit some of the Churu, Tay and Nung people who live along the trail in central highlands Vietnam before visiting Phoenix Airport and other important bases of the Southern Government before 1975. We will be in Kon Tum at about 5:00 pm. Overnight in hotel in Kon Tum. It’s not so long motorcycle ride on Ho Chi Minh trail today but it is another busy day with a lot of visits and stops therefore we start the day at about 8:00 am, Firstly we pay a visit to village of the Bana people and then keep motorbike riding to Pleiku where we can enjoy the scenic landscape and the natural lake calls “the Eyes of Pleiku” –the Sea Lake. 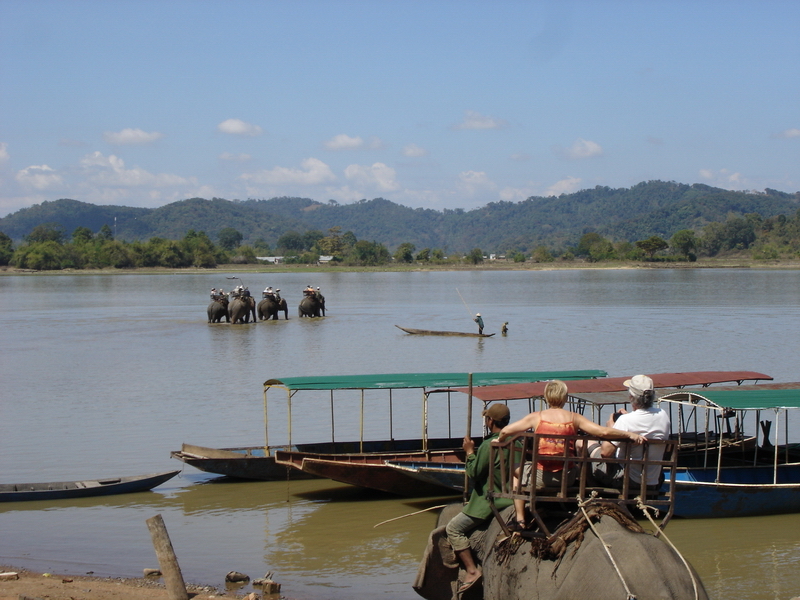 Visit rubber plantation and some rustic villages of the hill tribes to learn how the local earn a living and experience their unique culture,…etc. We will finish the day at about 5:00 pm in Buon Me Thuat. 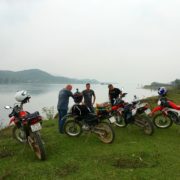 It’s a relaxing Vietnam motorcycle tour to Lak lake. The ride is short but still offers a lot of interesting things to enjoy along the way. We can see large coffee fields where we can learn how they process the coffee and taste many different types of café in Vietnam or visit the Dray Sap and Dray Nu waterfalls (the biggest waterfalls in Vietnam), or have a short trek to the top of the Elephant Mountain where you can have some great shots of the area’s panoramic view. Arrive the beautiful Lak lake in the early afternoon. Stay overnight in the hotel which faces to the lake. 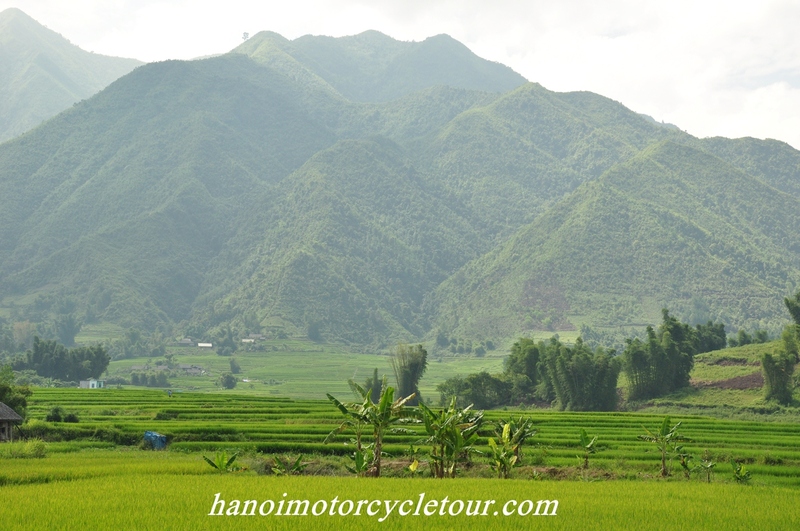 Finish the Vietnam Motorcycle Tour on Ho Chi Minh trail with a big day ride to Nha Trang. The Motorbikie ride to the coastal city Nha Trang offers plenty of stops for picture of the green mountain lake, colorful hill tribes and the beautiful coastlines. 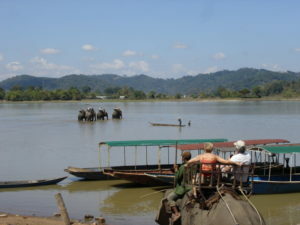 Firstly, you can ride elephant or boat to pass the Lak lake to visit M’nong’s village and then enjoy the beautiful motorbike tour on coastal roads to Nha Trang. We will pay some visits to the natural hot water springs, friendly K’ho people, the colorful Cham or some fishing villages. We will be at Nha Trang at 4:00 pm, check in the hotel of your choice, say good bye to the friends of Vietnam Motorbike Tour Expert then enjoy your relaxing time in the beautiful city of Nha Trang. Please let us know which kind of bikes you’d like to ride and how many people in your group then we will give you the right price of the tour. Still planning, please tell me more!